An aphorism of the people of Ezza Ezekuna in the East of Nigeria holds that "An adult who fell into a pit toilet twice is a friend of the vulture". The vulture is an ominous carnivorous bird which feeds on dungs and carcasses and therefore is regarded as so unclean that no human being, not to talk of an adult, should associate with it. By this token, every adult is expected to carefully pick his or her steps to and from the pit toilet to avoid a fall. Peradventure an adult falls once, he/she should do everything within his/her powers to avoid a second fall because that will qualify him/her as a friend of the canivore! Democracy is, without doubt, a game of number. 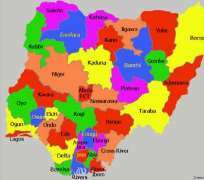 The estimated population census figure of the amalgam known as Nigeria, places the North in the majority. I am confident that anytime God helps Nigeria to determine her actual population, the North would still be in the majority. This is God's gift to the people of Northern Nigeria and I congratulate them for that. This number of Northern Nigeria makes their support a major determinant of who wins the Nigerian presidential election in any dispensation in our homegrown democracy which recognizes "zoning formula". In the 2007 presidential election, circumstances beyond the North placed former President Umaru Musa Yar'Adua, one of the greatest Nigeria Patriots, alongside other great Nigerians including PMB before the Nigerian electorate in that critical election. Yar'Adua, a great witness of truth who was managing undisclosed health challenges, became the president of Nigeria through an election which he admitted had some irregularities. Yar'Adua initiated wonderful projects and programmes for the one and half years he was in charge, before his medical condition became critical. His medical leave took Nigeria to the brinks of catastrophe but the beautiful roles of the Nigerian Senate under the leadership of Senate President David Mark saved the country. When Yar'Adua yielded to the cold hands of death on 6th May 2010, Vice President Goodluck Jonathan took over as President of Nigeria in accordance with the provisions of the 1999 Constitution of the Federal Republic of Nigeria (as amended). When former president Goodluck Jonathan indicated interest to contest the 2011 presidential election, many northern Nigeria leaders staged many overt and subliminal protests to which many Nigerians credit the emergency of the insurgent Bokoharam that is bedeviling Nigeria today. Through great persuations and interventions of Nigerian statesmen, Dr. Goodluck Jonathan contested and won the 2011 presidential election for another four-year term. In the 2015 presidential election which Goodluck Jonathan equally contested, the North refused to support him on the ground of a purported extant "agreement" in which GEJ accepted to hand presidential power over to the North after a term of office. Following the withrawal of the support of the North and its catalystic impacts, GEJ conceded victory in the election to President Muhammadu Buhari in circumstances that made both of them heroes of democracy in Nigeria. In 2017, PMB fell ill and was hospitalized in the UK on 7th May. His political and media handlers were rattled by the memory of 2010 and consequently recorded many goofs in the handling of ailing PMB through out the 103 days he spent in the UK hospital. To the glory of God, PMB, unlike late President Yar'Adua, recovered and has been drafted into the 2019 presidential election by powerful people around him known as "the cabal". The recent commencement of the presidential campaigns compels PMB who is the presidential candidate of his All Peoples Congress, APC, and indeed every presidential candidate to interact directly with the Nigerian electorate and explain his/her achievements to the Nigeria project as well as his/her manifesto. This interaction which cannot be done by proxy has shattered the wall of exclusion which the cabal hitherto built around the APC presidential candidate. That wall was so thick that even VP Osinbajo who doubles as APC VP candidate has confessed that he could not penetrate it. With due respects to PMB and in deference to him as the President of Nigeria and Grand Commander of the Federal Republic, all that Nigerian electorate and the rest of the world have seen in the APC presidential campaigns is a "limited" interaction which appears to be the best that the APC presidential candidate can offer due to the palpable impacts of his health conditions and the medical surgeries and therapies he has passed through and the post-surgery therapies he may still be passing through. The performances of our president in the highly stagemanaged Kadara mock presidential debate and in the campaigns in Kogi and Delta States augment this considered opinion. Because of my respects for both the office and person of the president of the Federal Republic of Nigeria, I will not go into further details. Whoever the members of "the cabal" are, they are hereby enjoined to show true love and mercy to a man who is by all standards their benefactor; halt what tantamounts to " elderly adult abuse"; be patriotic and shun the promotion of their private passion above the collective good of the country Nigeria. Those who are too impatient to have the presidency back in Yoruba without letting it round off its rotation among the major tripod upon which Nigeria rests are together with "the cabal" as part of the country's problem. The truth which even medical experts cannot deny is that the duties of the office of the President of Nigeria has debilitating effects on the occupant of the office. At this juncture, one is persuaded to believe that even though majority of the Northern Nigeria partriachs have transited to the great beyond, there are still remnants of elder statesmen, succeeding or new elders, credible and well-meaning patriots in Northern Nigeria. These elders, great men and women should not watch the unfolding ugly drama in complacence but rather rise and mobilize the electorate of North and the rest of Nigeria to use their franchise to oppose the few people who want to sacrifice Nigeria on the alter of their private interests just for the fact that, by the accident of history, they occupy sensitive appointive positions in Nigeria today. This charge on the elders and patriots of Northern Nigeria has become imperative to ward off the furthest likelihood of the repeat of our recent ugly history where the presidential mandate duly and deservedly given to the North slipped away, mid-stream, into the palms of a man from another section of Nigeria. In the circumstances which forshadowed that ugly history, the people of Northern Nigeria were not blameworthy; but same plea shall not avail the stakeholders of Nigeria - especially those of northern extraction - should this present ominous arrangement be watched to full blossom and a repeat of that sad history [God forbid] follows. This is the choice that this piece presents to stakeholders in the North to which the 2019 Nigerian presidency is zoned; and to all critical stakeholders in the Nigeria project. Following the thrust of the aphorism with which this piece began, the incident of 2010 in Nigeria which qualifies as the first fall of the proverbial elder into the pit toilet is enough: A second fall should be avoided by all lawful and reasonable means! The array of viable and impressive candidates of Northern extraction contesting the 2019 presidential election as published by INEC provides the people of Northern Nigeria, nay Nigerians, better alternatives; the opportunity of being charitable enough to a man who has ruled Nigeria twice in different attires by allowing him the rest he endearingly craves; and, above all, the opportunity to retrieve Nigeria from those who have hijacked it. This essay is intended to serve as a mere fair warning anchored on patriotism. May God bless my country, Nigeria!